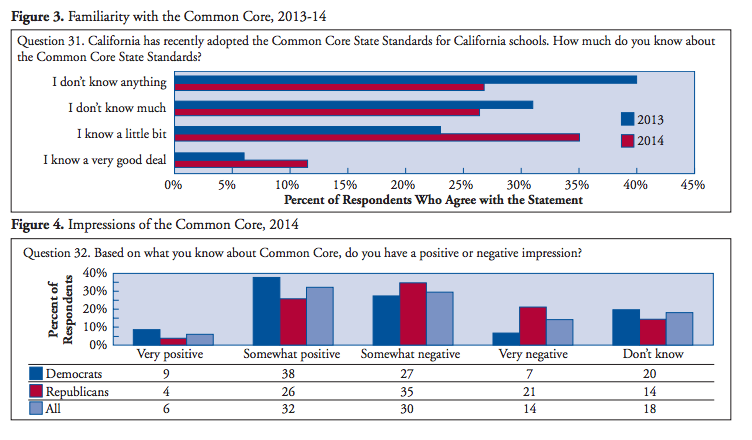 East Coast types might think that how things are playing out in New York is how they're playing out nationally, but these new poll results from California (USC via EdSource) show widespread (though declining) unfamiliarity among the public about the Common Core and a wide range of views on the standards. To see the poll data itself, click here, find the link, download a copy and find the charts you want on page 2. Images used with permission. Anyone seen state by state polling data comparing views from one place to another?